“I thought the best way to change minds about global warming, climate change and ecological dysfunction was to get more education; this time, in sustainable management. If I could influence the corporate world to change their design principles and their social/financial responsibility to the communities from which they remove resources and in which they manufacture their goods, I would be doing right by doing good. I realized the greater challenge is in educating the public about choices and practices so they can influence and raise the sustainable consciousness of their own families, corporations, communities, schools and workplaces with their own voices and pocketbooks. I know, an ambitious idea of mine to think I can help humanity save its resources by changing human behavior. That’s when I met Deek, Steven, and other tiny house community members last November at a tiny house workshop. 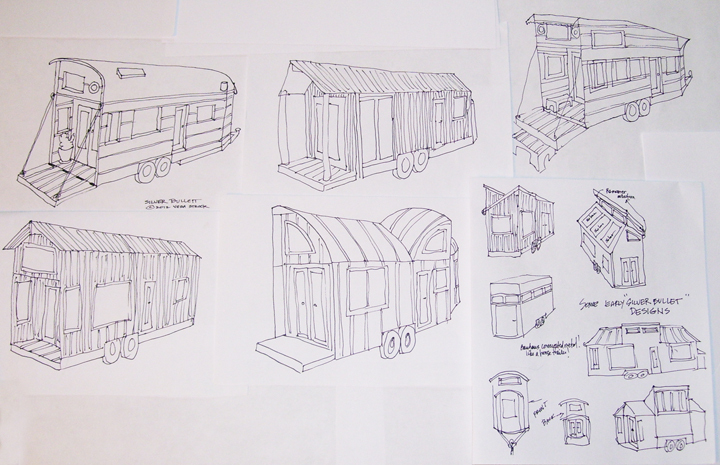 That weekend cemented my resolve to build the travelling sustainable “Silver Bullet Tiny House Classroom” I had been dreaming about for the last two years. 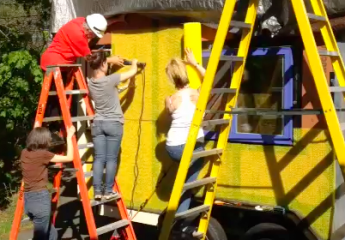 Constructing an affordable off-grid, net zero, eco-friendly “tiny house” that becomes a mobile classroom seemed like a natural part of the evolution of the non-profit organization I started in 2011 after graduating from Presidio. After all, the tiny house community that has been growing for a decade is the sustainability imperative at work. I envisioned the Silver Bullet serving as a base where I could work with individuals, families and communities to make smarter consumptive choices to live and learn how to design and build a more sustainable and affordable lifestyle. You can check out our progress at the silverbulettinyhouse.com. 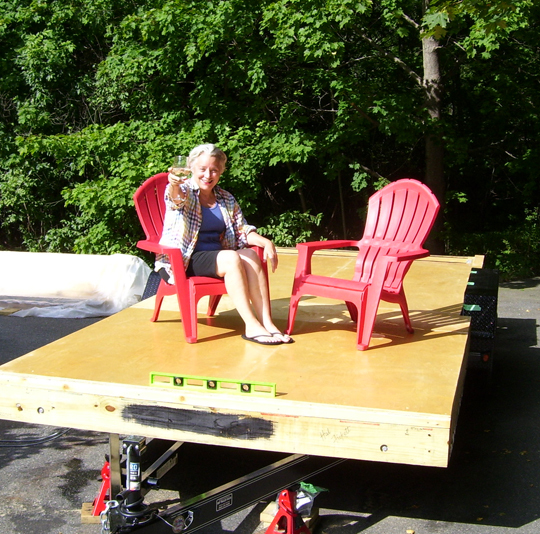 Founder and tiny house builder/enthusiast, Vera Struck, celebrates the beginning of the Silver Bullet build in summer 2013 and the completion of her R34 sub-floor on her 8′ x 18′ trailer.